Gift someone special with a unique and thoughtful experience with a Personal Styling Session. A gift that will last a lifetime and will leave them looking and feeling fabulous. If your loved one deserves a bit of a pamper, a confidence boost or some time invested in them a style package can be tailored to best suit the recipients needs. 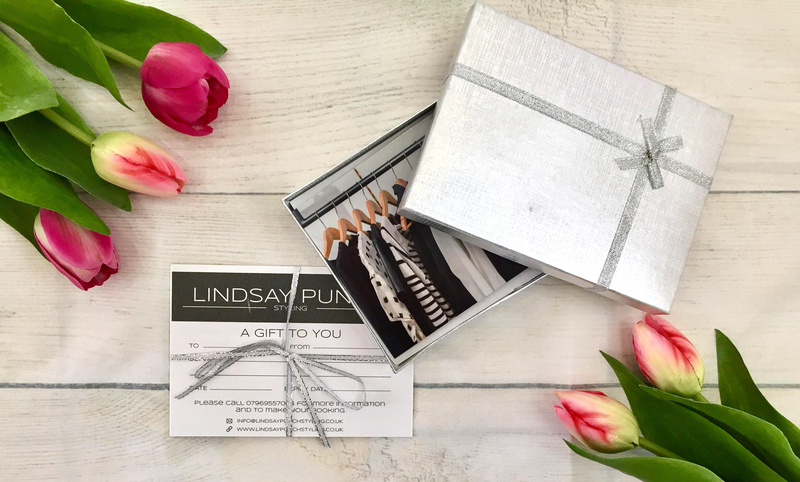 To find out more about the sessions visit Find your Style or contact me on info@lindsaypunchstyling.co.uk to discuss the best gift experience for your friend, colleague or loved one. Gift vouchers will be sent with gift packaging or emailed for those last minute purchases.